Get ready to experience the thrill of bidding for METTIQUE masterpieces and extraordinary experiences at the Grand Auction to raise vital funds for the welfare & conservation of Thailand's national animal. Net proceeds of auction go to Golden Triangle Asian Elephant Foundation. 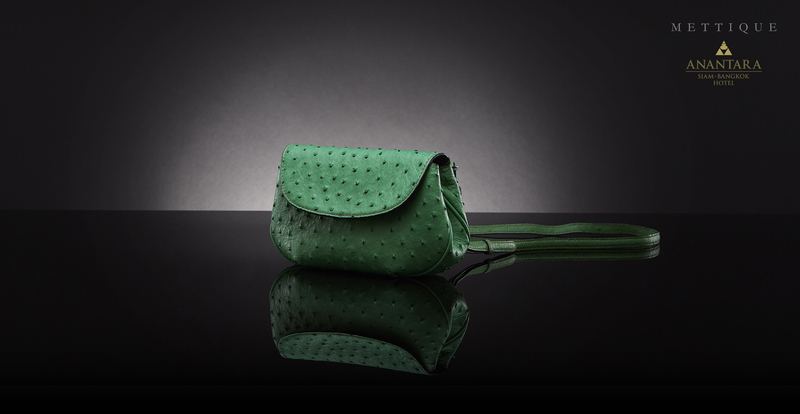 Auction items: METTIQUE "His&Hers" N1 clutch/crossbody and TLS1 wallet in bright Kentu and beige South African ostrich, 100% #handstitched with the finest French bees waxed linen thread. Event: The King's Cup Elephant Polo Grand Auction Gala Dinner by Anantara Siam Bangkok. Venue: Anantara Siam Bangkok Hotel, Thursday 8th March 2018. 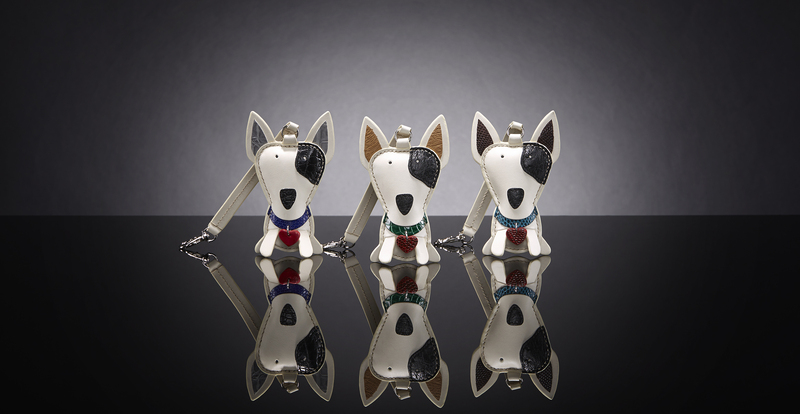 Enlighten the new year of the dog and the month of love with handstitched METTIQUE bag charms. 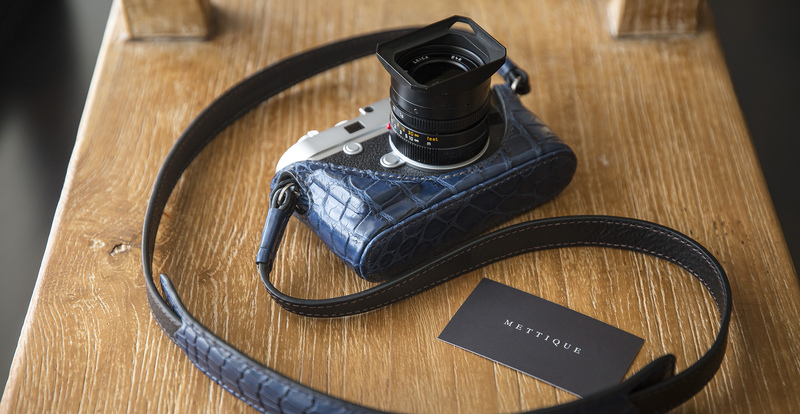 Complimentary with every purchase over THB 10,000 or USD 350.00 till the end of February in METTIQUE flagship store and METTIQUE official online store. 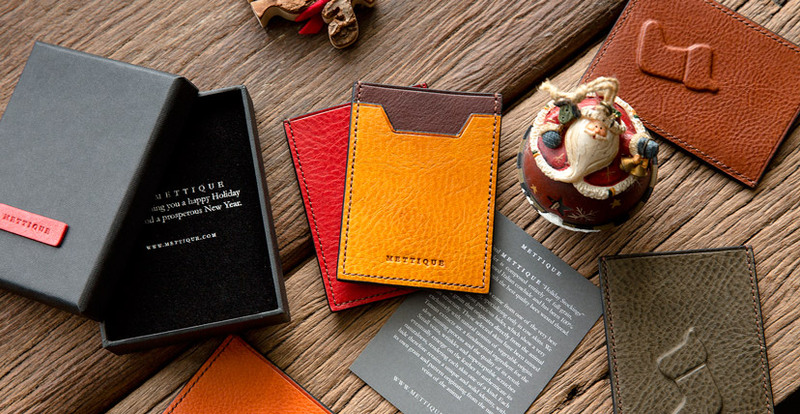 Receive one "Holiday Stockings" cardholder in Italian cowhide with every purchase throughout December 2017! While limited stocks last! Passion and creativity. 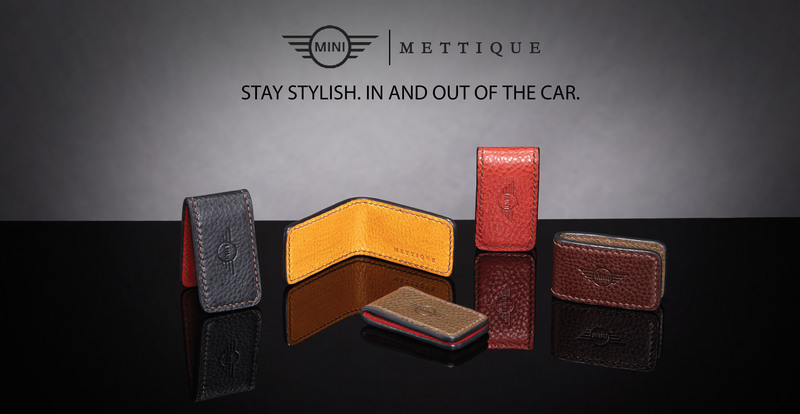 METTIQUE in collaboration with MINI, two different worlds that share common values and objectives in terms of their contemporary lifestyle approach. Visit us at the International Motor Expo 2017 at Impact Challenger Hall, Impact Muang Thong Thani. METTIQUE and its founder Met Hengtrakul were appointed as one of the faces of The Gaysorn Village latest campaign: The Spirit Of Craftsmasters. 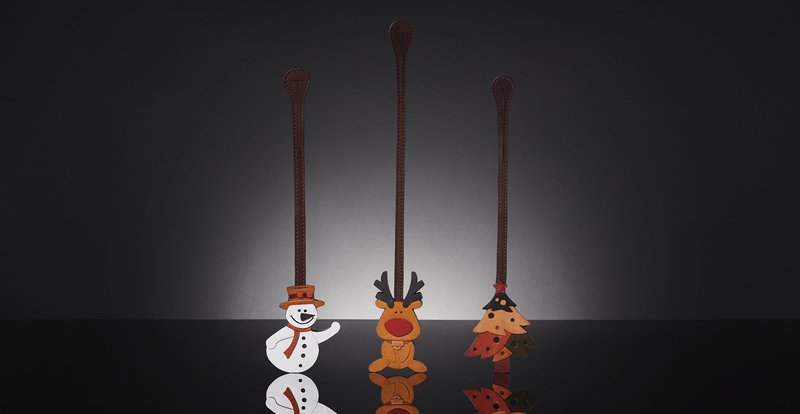 Receive one Christmas bag charm with every receipt over THB 20,000.00. 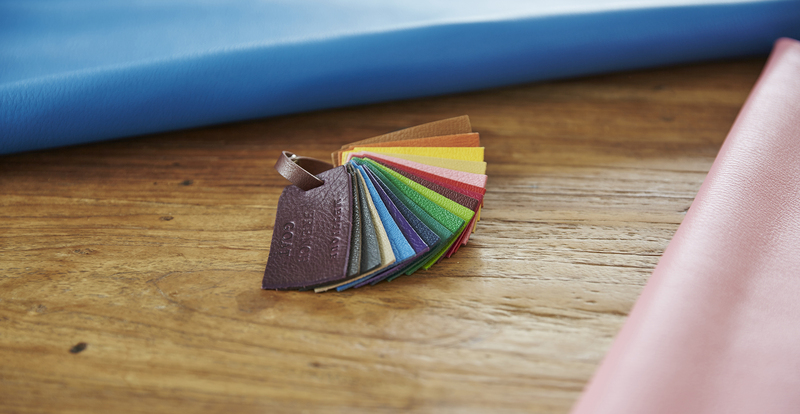 METTIQUE sources our aniline goat skins from one of the best tanneries that specialise in goat skins in France. The French goats are highly selected among the best herds in the world and are tanned with natural tannins of vegetable origins. These skins possess the most refined grains, which originate directly from the animal skin structure as a result of 22 strict manual operations, mostly boarding, the process which requires movement by hand/shoulder with a piece of curved wooden board to work on skins. Each and every square inch of each skin is boarded manually with different technique to achieve the unique softness and grains on the skins. 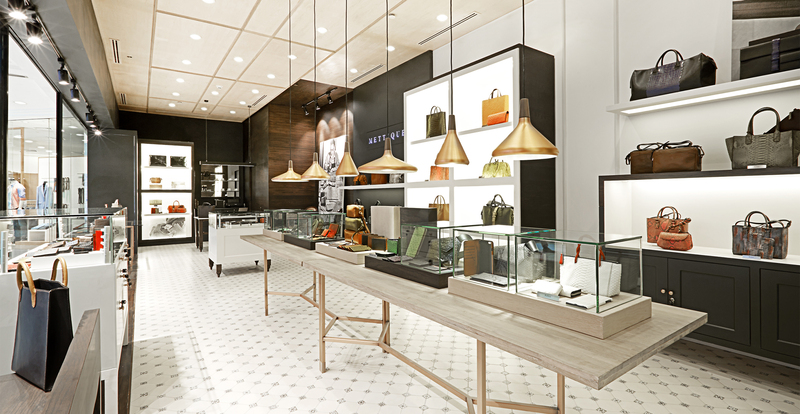 We have opened a new flagship store on 2nd floor, Gaysorn Shopping Centre. Open daily from 10am - 8pm.